Oregon's Josh Huff (#1) secures an end zone pass under heavy pressure from Cavaliers tailback Khalek Shepherd (#23), scoring a touchdown during the second quarter. The No. 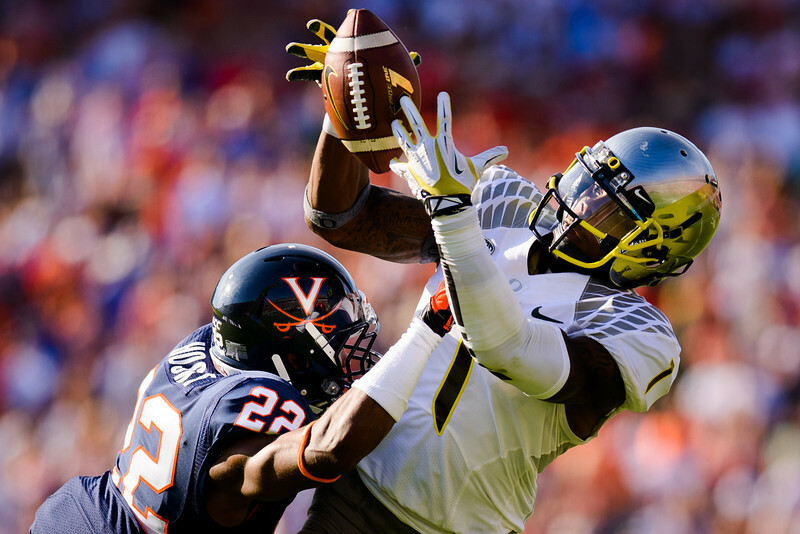 2 Oregon Ducks face the University of Virginia Cavaliers at Scott Stadium in Charlottesville, Vt. on Sept. 7, 2013.